In 2019, one can expect the latest design smartphones and they might be a foldable or dual display or hole punch display etc. mobile phones to feast the end users and compete the rivals. 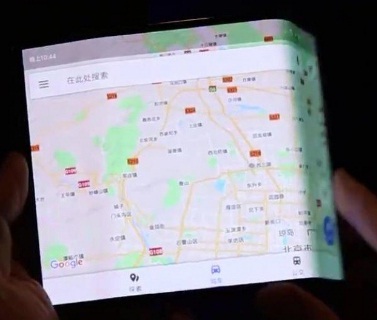 In this line, Samsung, Huawei, LG, Oppo and other brands hinted that they would come with foldable smartphones any time soon in 2019. So, Xiaomi also in the race as per the sources available around. Xiaomi's render leaks video shows that they are very well equipped and prepared to chase the rival on foldable smartphone and that too tri-fold device in 2019. Also, we come to know that Xiaomi may also come with Mi Mix Flex smartphone. Some of the best gadgets released by the brand so far. The Xiaomi’s foldable smartphone with Tri-fold would come with 5G features in an affordable price when compare other rival. The leaked video shows from the foldabale smartphone that it has Mi App Store and its own wallpaper of MIUI 10 OS. Let us see how the brand works on further and give some more hints. If you are looking for Xiaomi’s foldable smartphone or Mi Mix Flex smartphone's key features, technical specifications, price, launch date, release date, first impression, review, comparison and so on. then you could find some of them in our next subject topic post with its latest update. So, stay tuned.